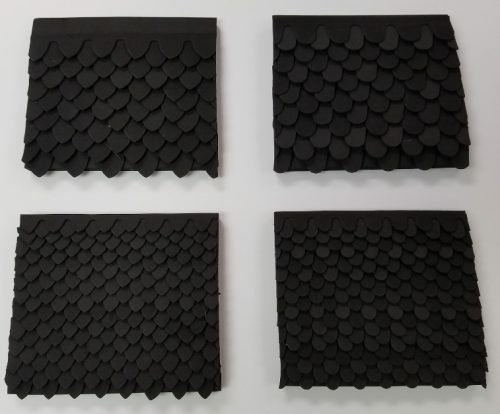 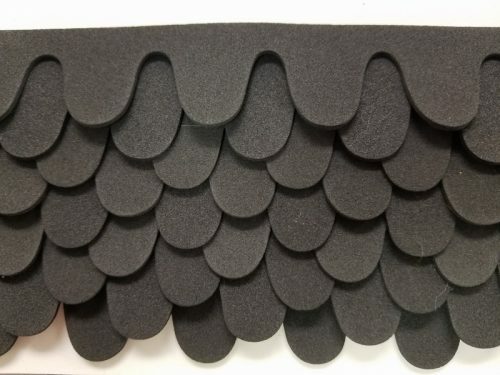 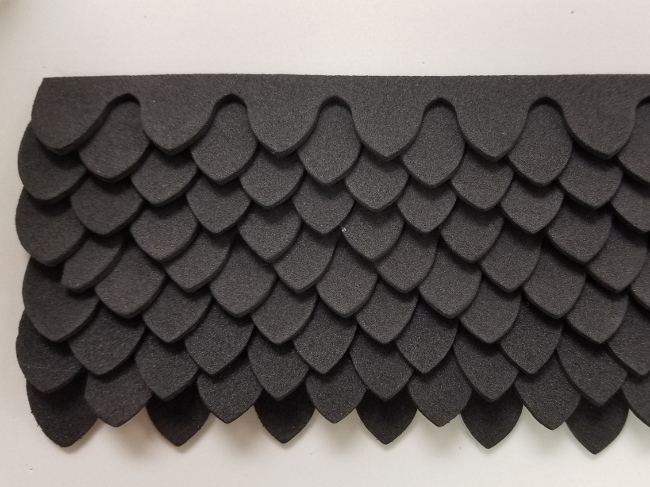 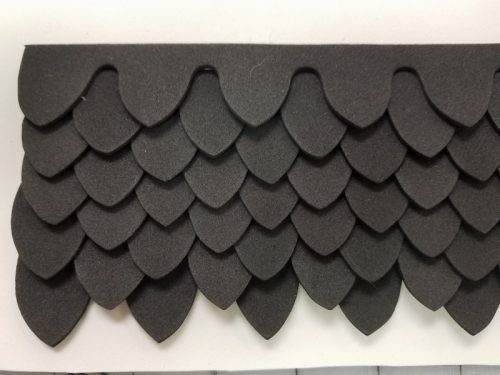 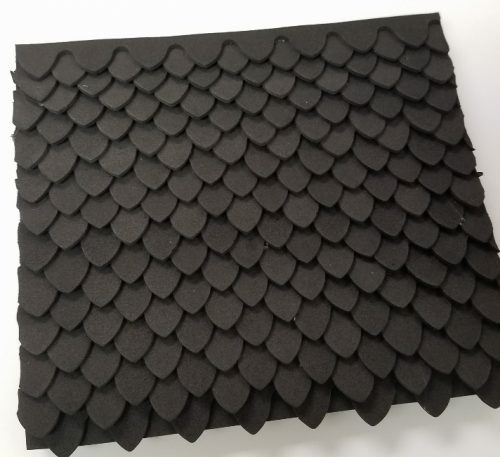 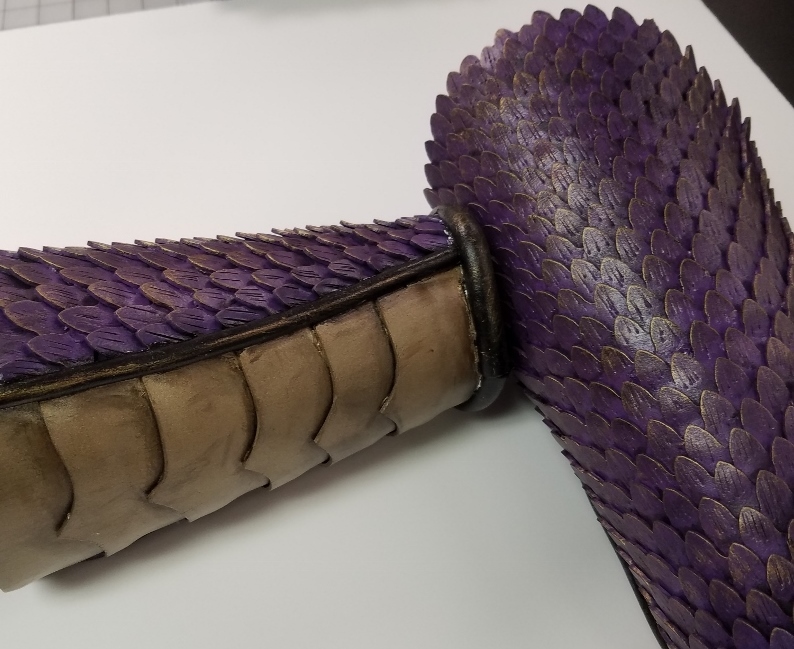 These scales are made out of our EVA-38 2 mm black EVA foam. They are available in fish (rounded) and dragon (pointed) scales. 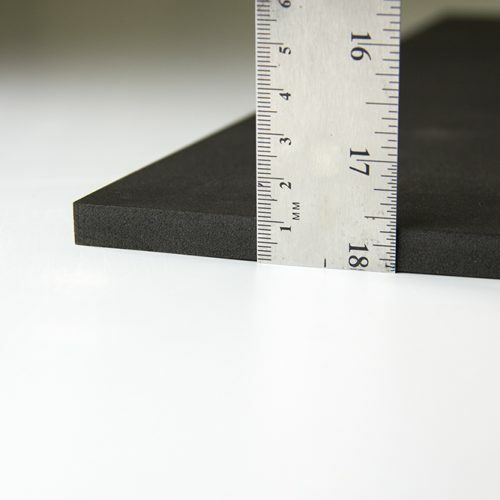 Our scales are on a strip which helps keep the scales evenly placed as well as speeds up production time by allowing you to place multiple scales at one time. 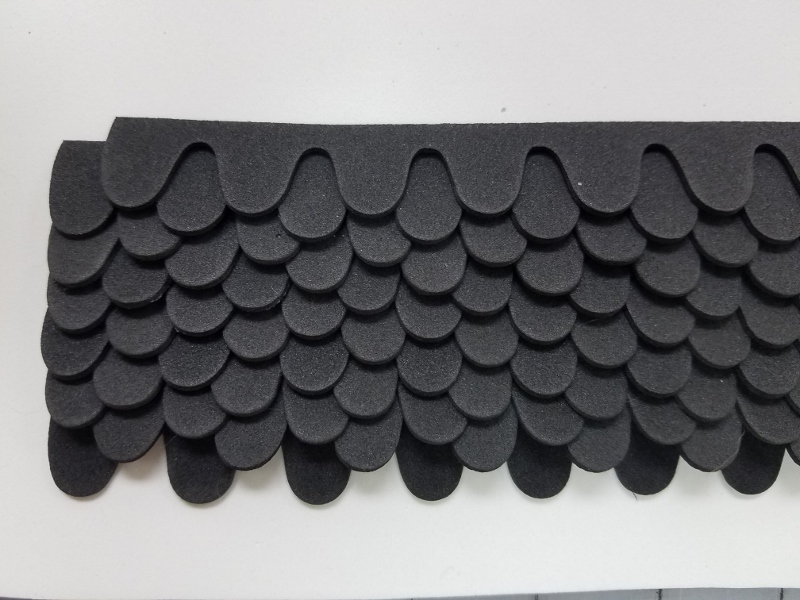 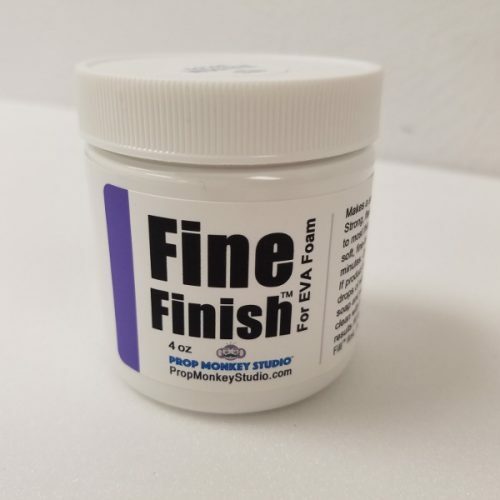 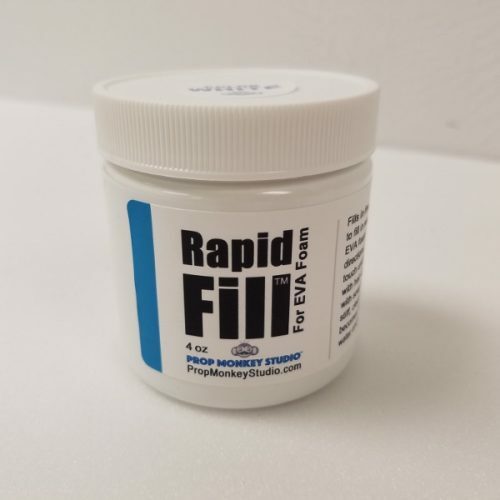 You can heat form, seal, prime and paint these scales just like all our EVA foam products.